Silhouettes are a great part of wedding photography, in being very creative with an image or many images depending on how you choose to create that darkness and what the bright foreground or background will project to accent the image for that wow factor. I had the pleasure of photographing my bride upon arriving at her room at The Mills House Wyndham Grand Hotel, located in Charleston, Sc. As I arrived in the room one of the bridesmaids answered the door, and as I looked threw my viewfinder, hoping to capture the bride greeting me, I noticed she was looking out of the window. Quickly, I asked her to not turn around and keep looking outside. 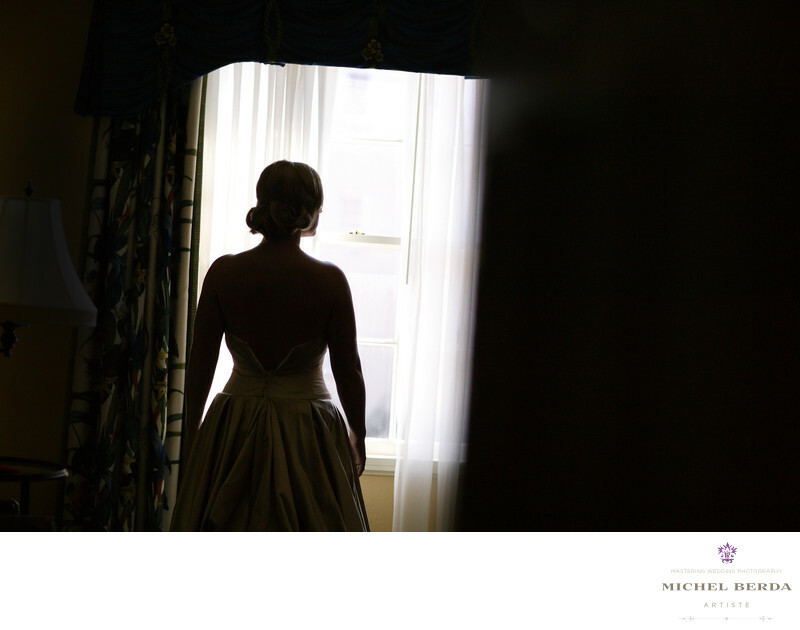 I set all of the correct exposure for my camera to bring this image down into a silhouette look, the window light is perfect not to bright, leaving your eyes to look at the bride. I love the result of this image the drama behind it, that I captured at The Mills House Wyndham Grand Hotel in Charleston, Sc. It always tells me that has a wedding photographer, I have to always be ready for anything, and knowing my craft to create the perfect wedding images for my clients.Keywords: The Mills House Wyndham Grand Hotel Wedding (3).